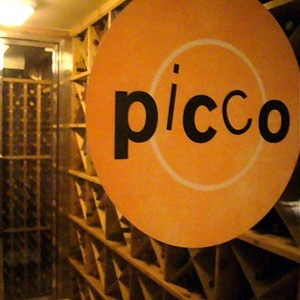 The Larkspur Ferry leaves regularly from the San Francisco Ferry Building, and a taxi at the other end whisked us within minutes to Restaurant Picco’s door. 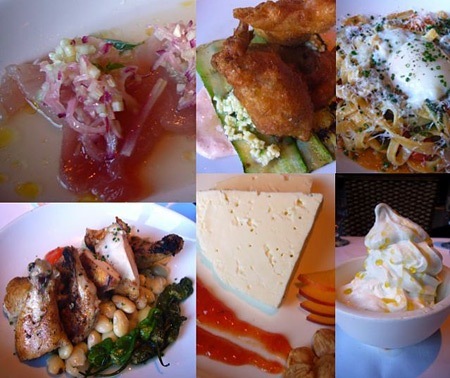 That week’s six-course Marin Monday menu featured crudo with local albacore, delicately fried squash blossoms, housemade fettucine with oven-roasted cherry tomatoes and Marin Sun bacon, roasted chicken with fresh butter beans, a cheese course with Point Reyes Original Blue, and for dessert a generous swirl of Picco’s famous Strauss Dairy soft-serve ice cream. After our dinner, I wrangled Bruce into giving us a tour of his amazing kitchens. Beneath the restaurant’s hotline and his pizzeria’s wood-burning oven lies another whole, wide world of food prep. We walk around back, descended the wooden stairs, and there entered a huge complex dedicated simply to prepping the food before it heads upstairs to be finished and plated and served. Benefitting from the generous budget that spoiled Roxanne’s, the previous business operating in that space, Bruce’s kitchen staff certainly loves all that roominess. More importantly, though, they enjoy his encouragement and support to explore new techniques. 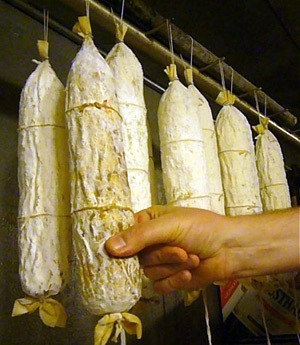 Jared has learned to inoculate their salumi with good microbes against the unwanted molds, to cure dense yet silky coppa, and is currently nurturing a completely new colony of flavorful critters in that sauerkraut crock. 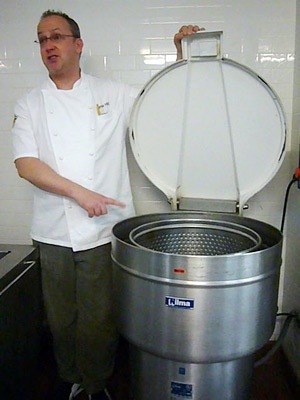 Back in the prep kitchen, Bruce showed off a high-end Nilma vegetable washer and dryer. This enormous lettuce spinner is actually the baby of the Nilma family. 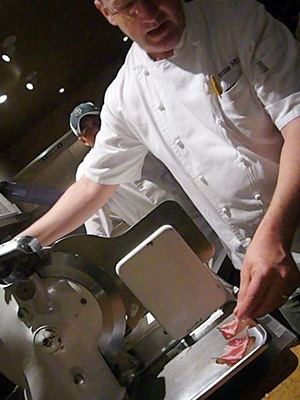 With an office in Reno, the “American European” company sells large-scale kitchen equipment, including the Pioneer Integrated Potato Peeling Line, the Maxim Onion Peeling Machine, and the 3-D Super Dicer, the workhorse of cutting machines. It’s rare to find one of their pieces in a small-scale restaurant like Picco — again, a legacy of Roxanne’s over-the-top extravagance — but anyone who’s ever been on spinach duty (like yours truly) will fall in love immediately with the Nilma spinner. 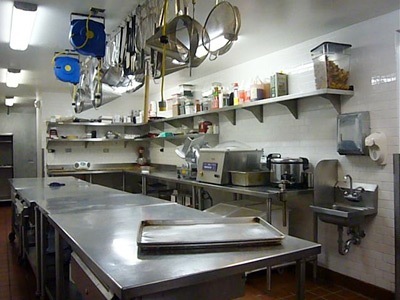 While few of you will need any of this specialized machinery, Bruce’s prep kitchen includes a piece of equipment that many hunters, fisherman and serious barbecue folks do have in their home set-up. Those in the know don’t waste hundreds or thousands on fancy smokers. 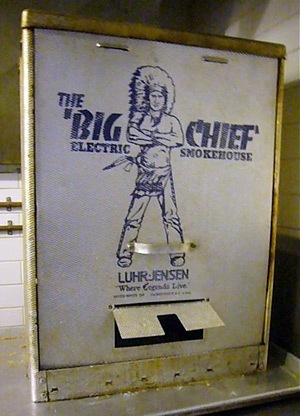 Instead, they send off for one of Luhr Jensen’s front-loading Big Chief smokers. Easy and efficient, inexpensive and effective, it’s one of those perfectly designed pieces that will function exactly as it should free of all gilding and gadgetitis. As for those who have neither the patience to cure nor the room for even a Little Chief, well, thank goodness we can depend on the good work of professionals like Bruce and Jared to create all these delicious foods.